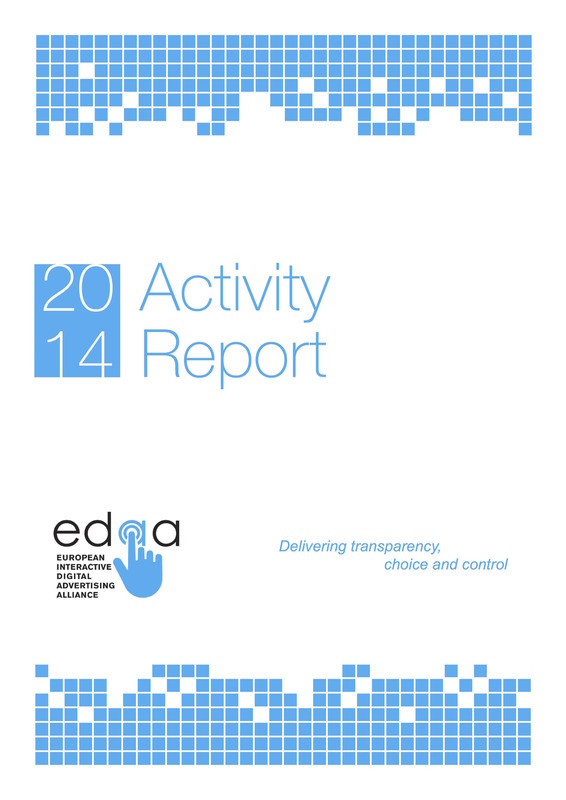 Brussels, 16 March 2015 – 2014 saw strong delivery of the pan-European Self-Regulatory Programme aimed at providing citizens with greater transparency and control over Online Behavioural Advertising (OBA), according to the European Interactive Digital Advertising Alliance’s (EDAA) 2014 Activity Report published today. The ongoing roll out of the programme saw considerable take-up across European markets as well as growing consumer awareness of privacy tools, such as the AdChoices icon available in or around ads. The European Interactive Digital Advertising Alliance is a non-profit organisation based in Brussels and is responsible for enacting key aspects of the self-regulatory initiative for Online Behavioural Advertising (OBA) across Europe. EDAA principally acts as the central licensing body for the OBA Icon and provides technical means for consumers to exercise transparency and control over OBA through the www.youronlinechoices.eu online consumer choice platform. EDAA is governed by EU-level organisations which make up the value chain of OBA within Europe and acts to ensure European consistency in approach. More information can be found at www.edaa.eu. The Self Regulatory Principles for Online Behavioural Advertising have been developed by a cross-industry effort at European level, with EASA’s (European Advertising Standards Alliance) Best Practice Recommendation on OBA building on the IAB Europe (Interactive Advertising Bureau Europe) OBA Framework. An essential role regarding compliance with these Principles is played by the national Self-Regulatory Organisations (SROs) and IABs. Companies should be aware of the national SROs where they operate, a list and contact details of which can be found on EASA’s website: www.easa-alliance.org.